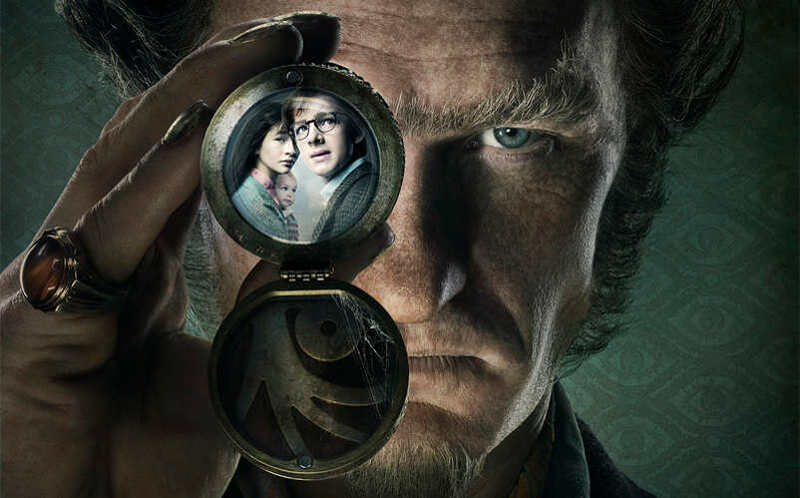 WATCH: A Series of Unfortunate Events Official Trailer | Nerd Much? Lemony Snicket’s A Series of Unfortunate Events official trailer released this morning. Everything is shaping up perfectly in this adaptation. In this Series of Unfortunate Events official trailer, we finally catch a glimpse of how it all pulls together. Originally, we weren’t a big fan of Neil Patrick Harris’ portrayal of Count Olaf. Now that we’ve seen more of him, we admit we were wrong. His comedic timing is impeccable. His disguises are perfect. It now feels like such a natural casting choice. Every actor seems to shine in this trailer. It could be the editing, but this trailer makes the series feel like an event. We almost wonder why they released the last trailer at all. If they had just the first and third trailer, we’d be on the moon right now. A Series of Unfortunate Events will release on Friday the 13th, this January. There will be thirteen episodes adapting the thirteen books. Hopefully, this will help solve Netflix’s problem with pacing. While their episodes don’t normally stand on their own, one book per episode should fix that. If you somehow watched Lemony Snicket’s A Series of Unfortunate Events official trailer and missed the charm, we suggest you watch it again. Netflix is starting 2017 off with a bang.